Home > Argo Parts & Accessories > Argo Atv Accessories > Windshield Wiper Kits > MANUAL HD WIPER 14"
Note: Will not work with any Argo model with a front hood rack installed. 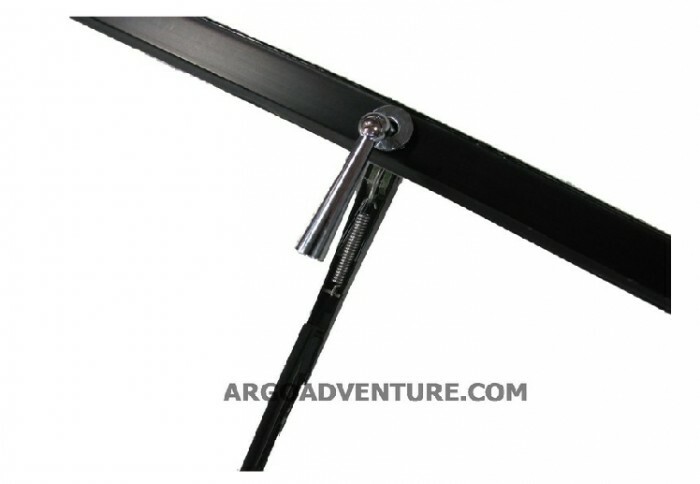 Exclusive to Argo Adventure is this high-quality stainless steel manual wiper. The outer arm is painted black stainless steel for the ultimate rust free design and the interior handle is silver chrome to be easily found at night. Eliminates all the electric wires and exposure when the windshield is in the down position, unlike the factory OEM electric design. When designing this unit we made sure the sweep of the arm was a true 180 degrees and the arm is adjustable to fit different windshields. Not only does the driver side window stay clean, but also the passenger side as well, a feature the factory electric model does not do. Blade: 14" Adjustable length arm. Installs in under 12 minutes. 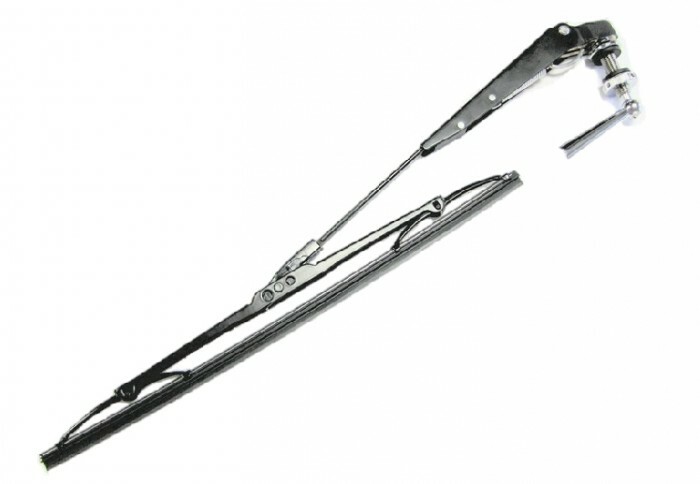 * This is not some cheap Chinese golf cart manual wiper. We tried those and they do not work, so we designed our own that works like it should on an Argo glass or Lexan windshield. Q: IS THE 14 INCH, THE BLADE ONLY OR ENTIRE MEASUREMENT? 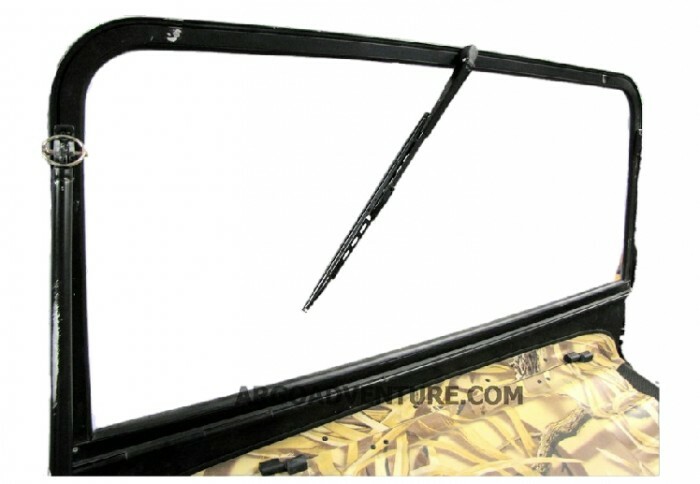 ALSO, HAS ANYONE PURCHASED THE WIPER FOR A POLARIS RANGER OR RZR? OH, ALSO DOES THE WIPER REST IN THE DOWN POSITION? THANK YOU.